Challenging holes and beautiful scenery are among the things you'll find at TimberStone Golf Course, a Jerry Matthews design that opened in 1997. Accuracy more than length is key on this 6,938-yard, par-72 layout that has received a five-star rating from Golf Digest. The signature hole is the par-3 17th, which plays 215 yards -- straight downhill -- to a very challenging green. The 18th hole is very long -- more than 625 yards from the championship tees -- but it also plays downhill, so it can be reached in two shots. It's a nice ending to a great course that should definitely be on your short list. Excellent course that offered everything a golfer looks for. Well manicured fairways, nice greens, fair shots as well as a challenge. I would recommend it to the most discriminating golfers. 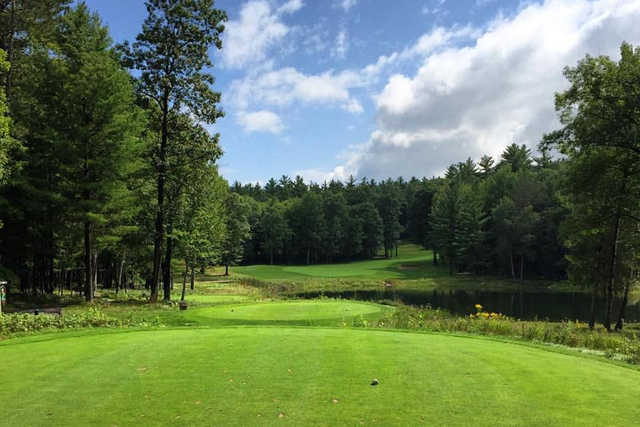 TimberStone Golf Course at Pine Mountain Resort is a sleeping beauty U.P. North. It is located in the city of Iron Mountain, in a heavily wooded area. 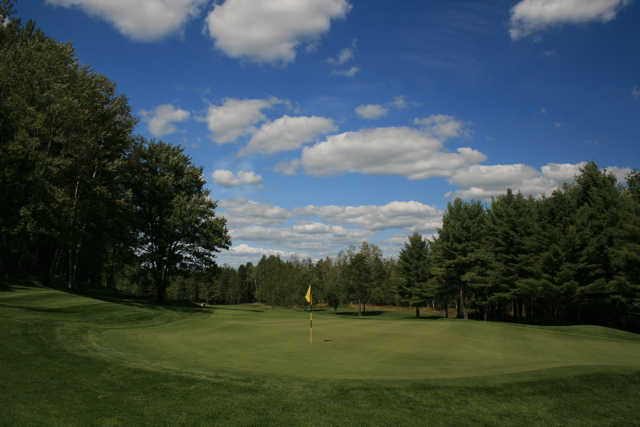 The TimberStone Golf Course's natural beauty includes dense treelined fairways, large deposits of iron ore and granite boulders, tranquil lakes, wetlands teeming with deer and other wildlife, and bent grass fairways and greens. Jerry Matthews, an award-winning golf course designer retained and incorporated the areas natural beauty, while sculpturing this TimberStone masterpiece. The course features 18 signatures holes with their own distinctive name, cascading and tight fairways, deep bunkers, several forced carries, visually intimidating holes, and dramatic elevation changes. TimberStone received a 5 star rating from Golf Digest and is ranked 9th by Golf week's Best Courses you can play in Michigan. This is a golfers paradise and destination. In late September when the temperatures start to dip, and the color of the leaves change to orange, yellow, red, and brown the glamor and bewitching charm of TimberStone is awakened. Stay focused my friend, or your game will take a siesta. The morning was sunny but cool the day I played Timberstone, but the temperature warmed up to the mid 70's with just a slight breeze. It was a no-excuse golf day. My first impression of the course was it's a little intimidating due to the narrow and dense treelined fairway. However, after the first tee shot the intimidation was gone, and I was ready to accept the challenge of the course. TimberStone is a player's course, and to play well requires confidence, patience, course management, and more importantly your "A" game. I played the Grey tees, which has a slope rating of 72.1/145 and measures 6536 yards. There are 6 sets of tee boxes and the Championship tees are 6938 yards with a slope rating of 74.5/150. Being a destination golf course, Timberstone does an outstanding job in customer satisfaction. Joe Rizzo, the Director of Golf takes a personal interest in customer satisfaction and attending to their needs. I was personally greeted by Joe upon my arrival to TimberStone. I was amazed to see that he took the time to familiarize himself with names of customers having the first couple of tee times. He proceeded to facilitate the check in process by answering questions, loading bags onto carts, handling coffee and snack orders. All this was done with a smile and a sincere interest in customer satisfaction. Mr Rizzo explained to me that 90 percent of TimberStone customers live more than 100 miles away and therefore customer service must be exceptional in order to retain and gain new customers. At TimberStone Joe Rizzo lives by the theory that, "You do not get a second chance, to make a first impression." My first thoughts of TimberStone golf course and its staff are, it's delightfully impressive and wickedly enchanting. I really enjoyed playing TimberStone, even when I was not playing well. It appears that an evil curse had been placed on my golf game. It took a few holes and the sacrificing of Pro V1's to appease the golf gods. My golf game and confidence was back in full swing and just in time for hole 5, "Sentree ". I was rewarded with a birdie, when my eagle got away. 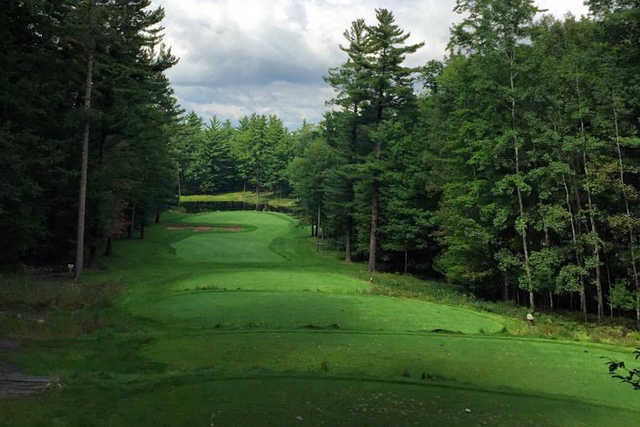 TimberStone is an enchanting experience which combines a remarkable landscape for golf, at an affordable price, in a deep woods setting, and a finishing hole that will make your Big Dog driver growl with joy and you shout "Who's your daddy?" Trust me! An incredible course, absolutely stunning views and very peaceful. Both challenging and fun! Staff is professional and friendly. I live in metro Detroit now, but this is my home town course. Absolutely magnificent golf course! Super challenging. Pick the right tees! Staff is friendly. 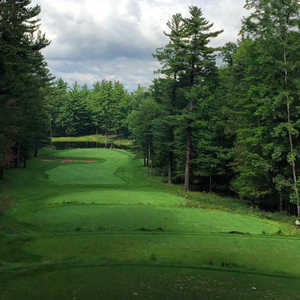 No shared fairways, tall trees surrounding the majority of the holes, deer everywhere. The Par 3 17th and Par 5 18th are great finishing holes. Both severely slope downhill. Take pictures here and try a couple of the tee boxes on 17 if no other groups are around. I recommend mid-day (after 2:00 PM) or twilight (after 4:00 PM) to shave off some $$$ package this in with Greywalls in Marquette and Sweetgrass in Harris and you've got a great U.P. golf trip. Simply one of the most beautiful courses one can play. Great hole variety and elevation changes. Great burgers on the pro shop patio too! Worth the trouble to get to and will leave you wanting to play it again and again! Difficult yet fun course to play that demands accuracy more than length. The views are spectacular.